Summer may be nearing its end. Your home may be brand-new and in no need of renovations. But that doesn’t mean you should slack off and not keep your home’s insulation up to snuff. 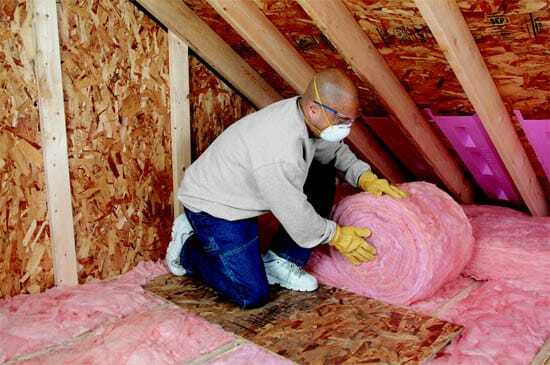 Keeping your home’s insulation in top condition has many benefits. These benefits include barring allergens and insects from entry and making your walls sturdier. Perhaps the greatest benefit of maintaining your home’s insulation, though, is climate control. When there are cracks and holes in the insulation, your heating and air conditioning slip outside. This has two effects. First, it renders your climate control system pointless. Second, it costs you money. In the summer and winter when the weather is at its most extreme, you could be throwing out far more money than you realize. There are two different types of fiberglass insulation on market: blown fiberglass insulation and rolled fiberglass insulation. The kind you need depends on your situation and the condition of your current fiberglass insulation. Blown fiberglass insulation is loose fiberglass that you spray using a special type of blower. This type of insulation is eco-friendly as it is made out of recycled paper. The environmentalists in your family will likely favor it over the rolled kind of fiberglass insulation. 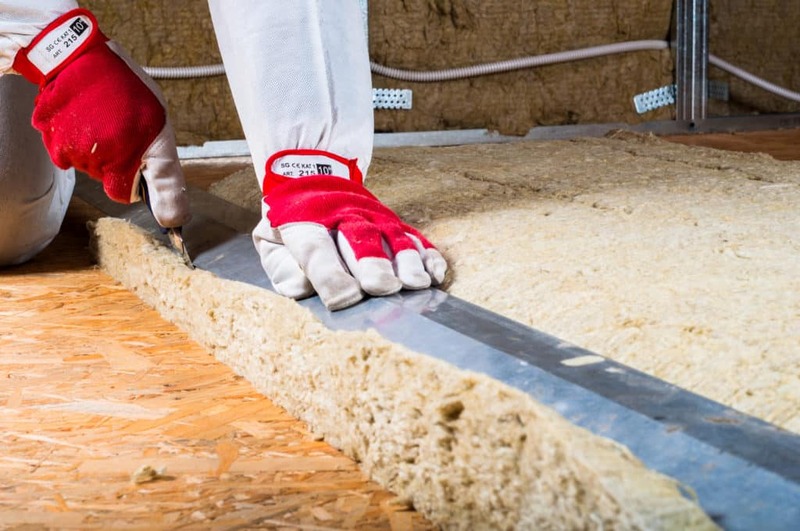 Blown fiberglass insulation scores an R-value of 3.2 to 3.8, making it slightly less likely than rolled fiberglass to prevent the flow of heat into and out of your house. That being said, though, blown fiberglass insulation isn’t meant to cover huge areas like rolled fiberglass insulation. Blown fiberglass is perfect for spot and line treatments. Since it is a foam, blown fiberglass doesn’t leave any cracks. It fills them, preventing climate control leakage as well as allergens and insects from entering. This kind of fiberglass can be used in walls and ceilings. In fact it’s actually recommended to use the blown kind in attics due to the inconvenient bulk of the rolled kind of fiberglass. The long, heavier rolls make it difficult to haul into and install in attics. Even so, the blown kind is a little trickier to install than the rolled kind. It requires knowledge of any obstructions (electrical wires, fire blocks, and the like) so the installer can blow the fiberglass around them. Coating these obstructions with blown fiberglass insulation is not a wise move. If you were to have an issue with one of them later, you’d have to dig through the insulation to find the issue. Then, after you fix it, you’d have to replace the insulation with new insulation. And that’s more work than anyone wants to do. Given the difficulty of installing blown fiberglass, it’s highly recommended you don’t try to install blown fiberglass insulation by yourself. Instead, seek out a professional contractor to do the job. Your contractor will make a series of holes. The first series will be about a foot down from the ceiling while the second will be about three feet up from the floor. These holes will help determine the location of your inner wall obstructions and thus where the insulation must be blown. The blown type of fiberglass insulation can take a while to dry. When moisture lingers, mold can set in and start to grow. If that happens, you’ll have to dig out all of the molded insulation and spray in new insulation. In contrast to blown fiberglass insulation, rolled fiberglass insulation comes in rolls (as the name implies), which are also called “batts.” These batts can be long and heavy. Rolled fiberglass insulation requires no special equipment to install. However, because of the inconvenient size, shape, and weight of the batts, installing rolled fiberglass insulation is a physically challenging job. Rolled fiberglass insulation scores an R-value of 3.7. So overall, rolled fiberglass insulation is slightly more effective at blocking in and out heat than its blown counterpart. There isn’t too much to know about rolled fiberglass insulation installation. It can be used in walls and ceilings, just like blown fiberglass insulation. You unroll this kind of insulation, stick it between your joists, and that’s about it. However, the sheer inconvenience of rolled fiberglass insulation makes installing it a job in and of itself. As such, it’s highly recommended you don’t try to install this kind by yourself either. Again, seek out a professional contractor to do the job. Let’s say your home renovations include removing drywall—maybe even knocking down whole walls. In this case, rolled fiberglass insulation is the way to go. This is because you’ll be replacing whole walls’ worth of insulation at a time. Batts of fiberglass unroll and lie uniformly, and a single sheet can cover a whole wall area. Additionally, rolled fiberglass insulation remains mobile even after you install it. Electrical wires, fire blocks, and other inner wall obstructions are covered but not coated with this type of insulation. As such, if you encounter an issue with one of them after installation is complete, you can simply pull back the insulation. Once the issue is fixed, you can set the insulation back into place. Rolled fiberglass insulation is far easier to dispose of than blown fiberglass insulation. When the rolled kind gets moldy, you can lift it out of place, roll it up, and throw it out. Need Your Insulation Problems Taken Care Of? Call Us! Ultimate Radiant Barrier & Insulation provides the Houston, Texas area with top-of-the-line insulation service and products. Our goal is to help our clients improve their homes while saving money. If you are experiencing problems with your insulation, please feel free to contact us! We offer free, in-home, no-obligations estimates!